Pediatricians Warn Against Using Plastic Numbers 3, 6, 7. The next time you use a plastic container or bottle, you might want to look at the little number inside the triangle recycling symbol. In a report issued last month, the American Academy of Pediatrics (AAP) said that plastics with the recycling codes 3 (phthalates), 6 (styrene) and 7 (bisphenols) should be avoided unless they are labeled as "biobased" or "greenware," which do not contain these chemicals. The AAP also warned that plastic should not be heated in microwaves or placed in dishwashers, as the heat can cause chemicals to leach into food. The AAP's report, published in the August issue of Pediatrics, adds to a growing body of evidence that plastic not only negatively impacts the environment, it can also negatively impact human health. "Rapidly accumulating scientific evidence suggests that certain chemicals added during the processing of foods and those that may come into contact with food as part of packaging or processing may contribute to disease and disability," the authors wrote. "More than 10,000 chemicals are allowed to be added to food in the U.S., but the Food and Drug Administration (FDA) is unable to ensure all of those chemicals are safe," they added. As AlterNet reported, plastic No. 3—used in plumbing pipes, clear food packaging, shrink wrap and more—contains the phthalate DEHP, which has endocrine-disrupting properties. Plastic No. 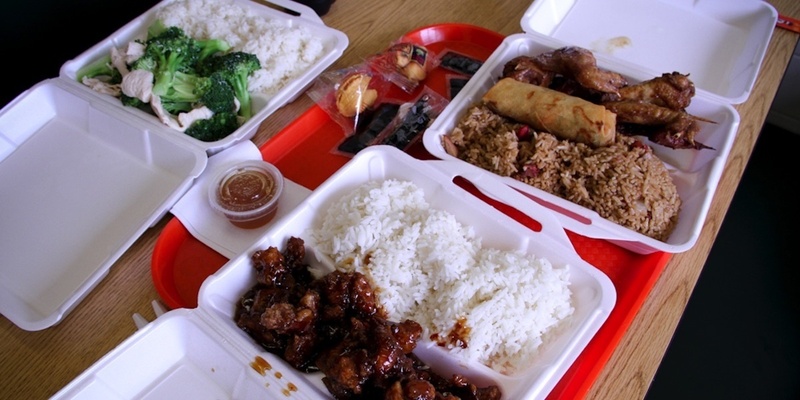 6, aka Styrofoam, can leach styrene, a suspected carcinogen, especially in the presence of heat. Finally, plastic No. 7—or hard plastics—is likely to leach bisphenol A (BPA) and/or biphenol S (BPS), which are known endocrine disruptors. The AAP said children are at particular risk when they are exposed to these chemicals. "The potential for endocrine system disruption is of great concern, especially in early life, when developmental programming of organ systems is susceptible to permanent and lifelong disruption," the authors state. The aim of the report is to highlight the emerging child health concerns related to the use chemicals added to food and food packaging. The AAP is also calling for stronger food safety requirements from the FDA. Eat fresh or frozen fruits and vegetables when possible. Look at the recycling code on the bottom of plastic products and avoid plastics with recycling codes 3 (phthalates), 6 (styrene) and 7 (bisphenols) unless plastics are labeled as biobased or greenware, indicating they are made from corn and do not contain bisphenols. Encourage hand-washing before handling foods/drinks. Wash all fruits and vegetables that cannot be peeled.